Some books that have good timing. 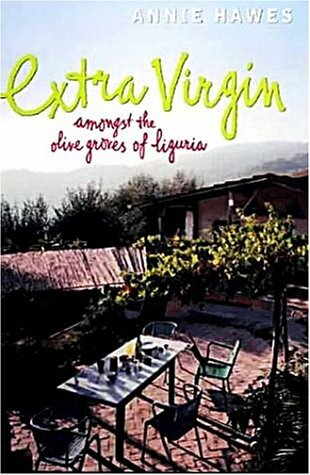 “Extra Virgin” is a memoir of two English women who decide to buy a derelict house (olive grove included) in the mountains of Liguria, Italy. It was a decision that raised not a few eyebrows and put into perspective one I’ve made recently. In the middle of an economic recession I’ve decided to quit my senior job in one of the city’s larger consultancies to accept an opportunity in a tinny NGO dealing with renewable energy in developing countries. It involved some serious self-questioning (and some discussions with Andre about the impact on our household budget) but it’s decided and I feel damn good about it! From where I’m standing, even if I am romanticizing the NGO world, it’s still a risk I need to take. I’ve been toying with the idea for years and it’s now or never. I’m done with Big Business and can already feel my karma improving. Wish me luck! Now back to the book. I’m not a big fan of these memoirs about moving to a Mediterranean Eden and probably wouldn’t have read “Extra Virgin” if it wasn’t for my Olive theme in the One, Two, Theme Challenge. I was bored out of my wits with “Under the Tuscan Sun” and found Richard Hewitt’s “A Cottage in Portugal” vaguely offensive. I felt he didn’t try to understand the reasons behind the surreal things that happen to him. Maybe it was just a patriotic tantrum, but either way, it didn’t work for me. In “Extra Virgin”, and just like Richard Hewitt, Lucy and Annie also met a “singular logic”, but they face it with a different philosophy: understand, accept and integrate (just like I did when first faced with the Belgian waste collection system…). For instance, at a certain point they noticed their neighbor Nico wasn’t exactly the friendliest guy in the world and assumed it was a dislike for the foreigners (and single women at that!) who were invading honest-to-God Ligurian land. But no, many moons later they’ve come to realize that his antipathy was because they didn’t “clean” their land, making it a fire-hazard to the olive trees and houses around them. Nico assumed they knew this (how could they not? It’s common sense! ), and were just being negligent. These and other misunderstandings are described in a funny, easy-going way, with not a small dose of humility and self-mirth. You can clearly feel their love for Italy, Liguria, their small village and own piece of land. We go on eating all afternoon, the digestive system expanding, as usual, to fill the entire universe and more. It was interesting to notice the similarities with Portuguese culture, not only in our own relationship with food, but also in other idiosyncrasies (dogmas really) that foreigners don’t really understand. For example, you cannot swim after a meal, not for the next 3 hours after you finish eating (at least!). Why is that? I never really understood myself, but someone always knows someone who knew someone who broke the rule and suffered a horrible death. And thanks to all those insistently ripening eat-me-now-or-I’ll-rot vegetable we have at last understood what it is about the olive that has made it such a symbol of peace and plenty for the last couple of thousand years. The olive is magic: if you have olive oil, which we do – even though ours is for the moment bought at Ugo’s and may very well be full of only the Lord knows what – you can transform visually calorie-free greenery into nutritious-packed substance. The only reason why I don’t give it a 5/5 is because I missed the personal factor. Annie is funny and a keen observer, but we know almost nothing about her, her background, her family or her life in England. It’s only on rare occasions that she lets us glimpse her thoughts, including the doubts she must have occasionally felt about her endeavor. In many way the book feels too… anthropological. I’m not much of a cook, but once in a while I enjoy baking. I wish I was better at it so the Foodie Challenge: Whip up something new seemed a good place to start. The idea is to each month prepare at least one dish from a new recipe and blog about it. My commitment is to increase the level of difficulty each month and hopefully by December I’ll be comfortable making profiteroles or a Pavlova. I decided to start with a family classic I’ve never done by myself: yogurt cake. I called my mom for the recipe and in the end I’m rather proud of myself. Just for fun I’ve added some lemon glazing on top. I turned out moist, with an acid-sweet tone, just like it. And talking about sweet, I’ll post my thoughts on The Sugar Queen by Sarah Addison Allen shortly. Mix the egg yolks and sugar until the mix is a soft yellow, almost white. Add yogurt, then flour, baking powder and oil. Mix well. On a separate recipient beat the eggs white until they form and then gently incorporate them into the other mix. Make sure you oil/butter the baking tray before pouring the final stuff. Bake for around 30m at 150C (pre-heat the over 10m before you put the cake in). 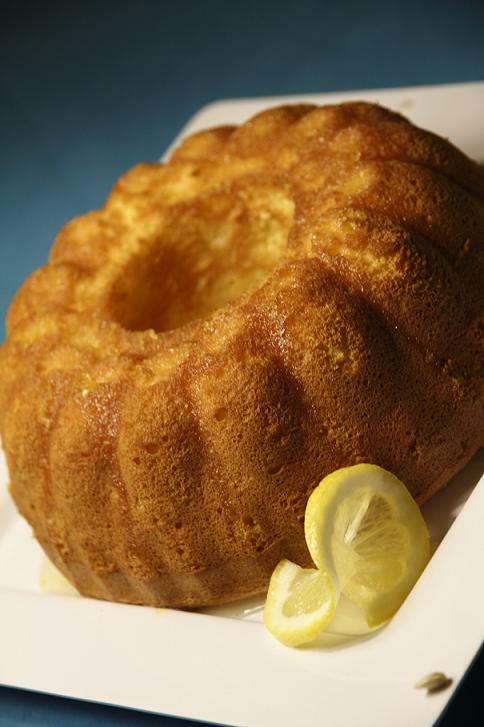 You’ll know the cake is ready if you stick a toothpick into it and no bits come attached to it (does that make sense? It’s the first time I write a recipe in English…).